Whiddon’s Air and Electrical LLC is located in two great cities servicing extraordinary people. We have a north region and a south region with a vast area of service. 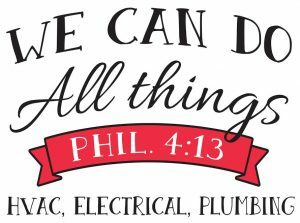 Let Whiddon’s Air and Electrical help with all your heating, cooling, electrical and plumbing needs. Two great locations one extraordinary business! Whiddon’s Air and Electrical north region office is located in Houston Missouri. Our dedicated team services these major cities. Houston, Salem, Cabool, Summersville, Eminence, Licking, Mountain Grove, and all surrounding areas. Call our team today so we can help provide service to you! We love meeting new extraordinary Customers! Whiddon’s Air and Electrical south region office is located at 1011 N. Jefferson, Ava Missouri, 65608, opening Spring of 2019. Call 417-543-2657. Our dedicated team will provide services to these major cities. Ava, Sparta, Mansfield, Gainesville, Theodosia, Thornfield, and surrounding areas. Call our team today so we can help provide service to you! We love meeting new extraordinary Customers!